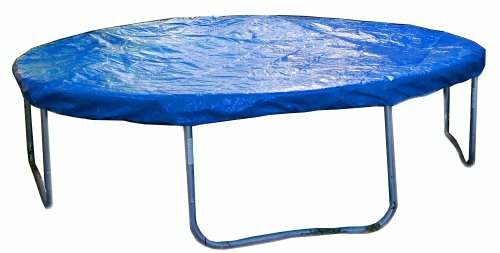 From the scorching summer heat to the freezing winter snow and rain the Propel Trampolines Weather Cover can help protect your Trampoline. Made from a weather resistant woven poly material it can be used in all 4 seasons, making it the perfect product to protect and help extend the life of your Trampoline. Installation is easy, simply unbolt and remove the enclosure poles from their sockets and lean them forward so they are resting on the trampolines jumping surface. Unfold the Weather Cover onto the trampoline and tighten the draw-cords to secure it in place. To fit 12' Propel Trampolines. Limited compatibility with other brands.